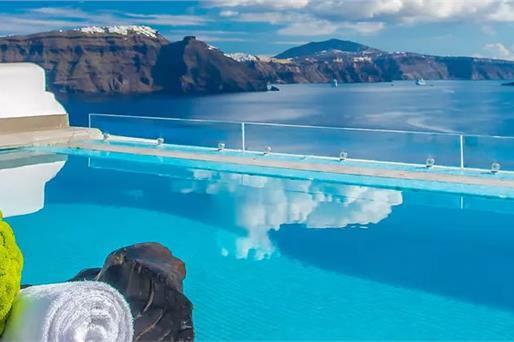 Santoniro Villa is a white, sun-washed, fully renovated private holiday residence on the Santorinean Caldera in Fira, the island's vibrant capital. Santoniro, an anagrammatism of the island's name, literally meaning "like a dream" in Greek reflects the way its owners experience it and the way they hope you will too. 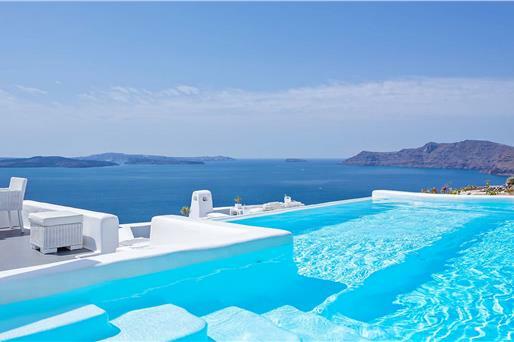 From its private sun deck eye-feast on the sun-kissed Aegean, the mesmerizing uninterrupted volcano views, the rightfully famous sunsets and the unique moonlight view. Step inside to discover that beauty is only rivaled by comfort; the minimal design highlights the craftsmanship of those talented locals who have carved the stone and the wood into a unique structure of Santorinean architecture. 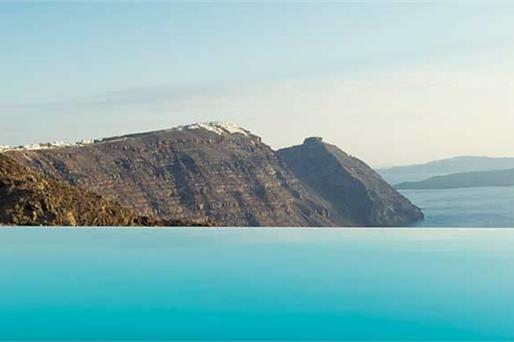 Built on the high edge of the Caldera, Santoniro affords easy and comfortable access to its guests, a true treat when considering the steep Caldera steps. 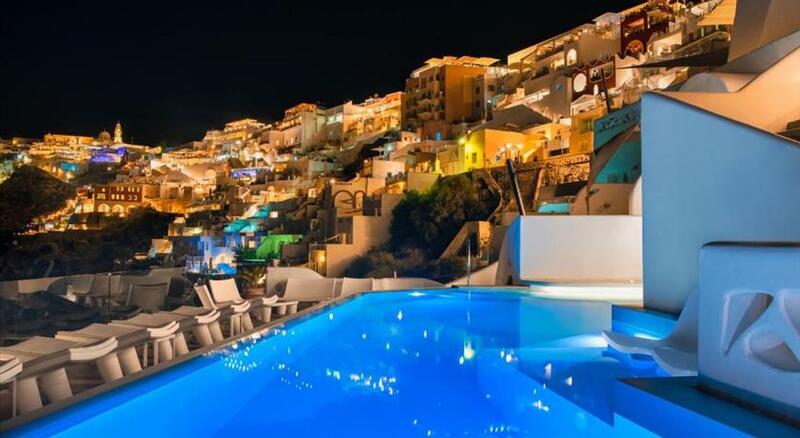 Also, walking proximity to everywhere one would care to go in Fira. 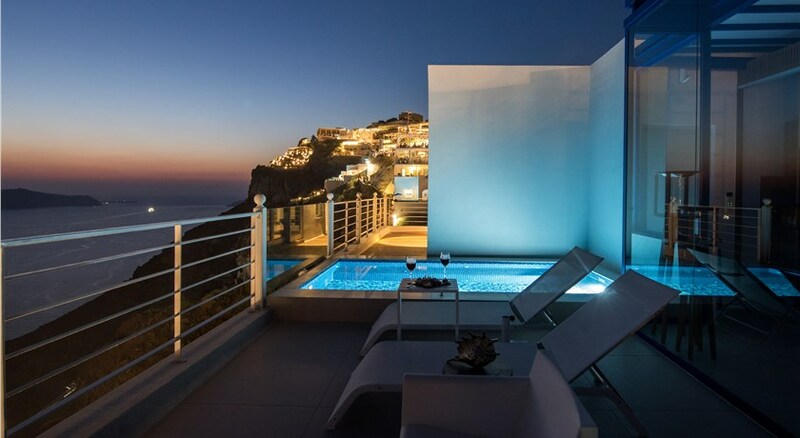 The villa's best kept secret is the speed at which a guest can switch from a dive into the most serene solitude to the city's busy and noisy nightlife. 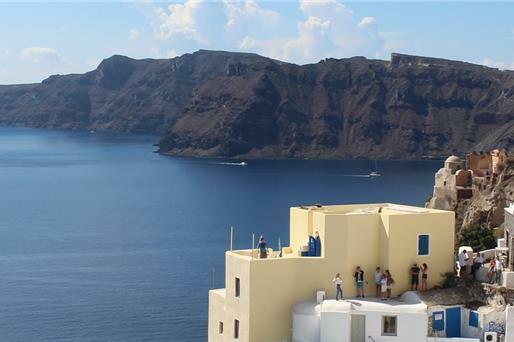 Built according to the Cycladic architecture, the white-washed Santorino Villa is located in Fira and offers unobstructed views of the volcano and the sunset . 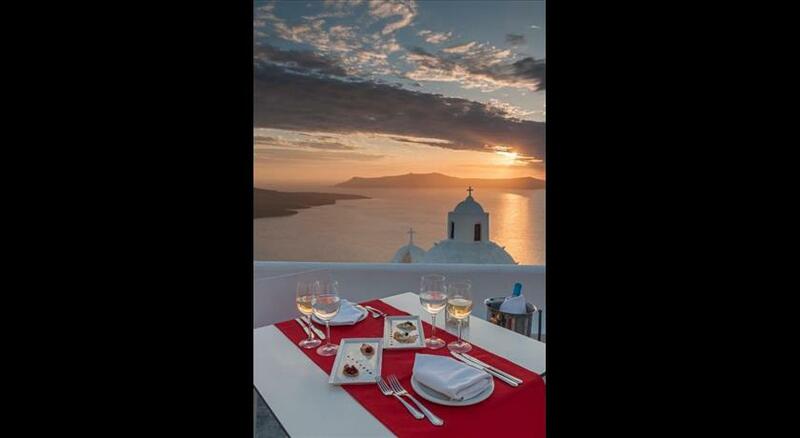 Its central position offers easy access to various restaurants , bars and shops. WiFi is offered throughout. 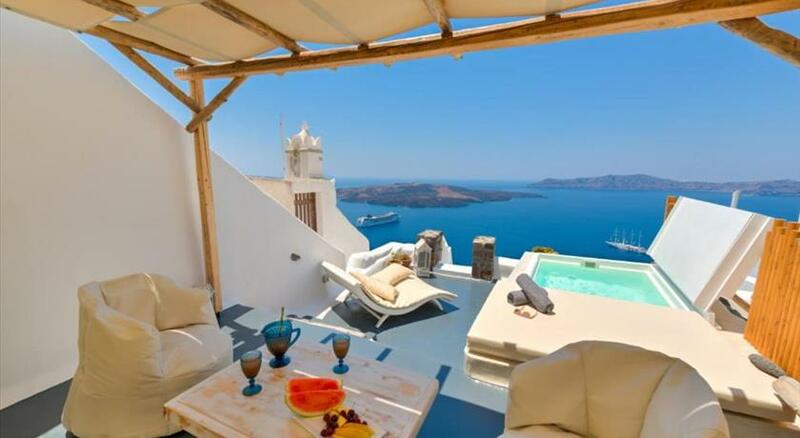 Opening to 2 terraces, the villa includes a living room with a flat-screen TV, and a fully equipped kitchen with dining area. It also has 3 bedrooms and 2 bathrooms. Prehistoric Thera Museum is 500 metres from Santoniro House, while Megaro Gyzi is 500 metres away. 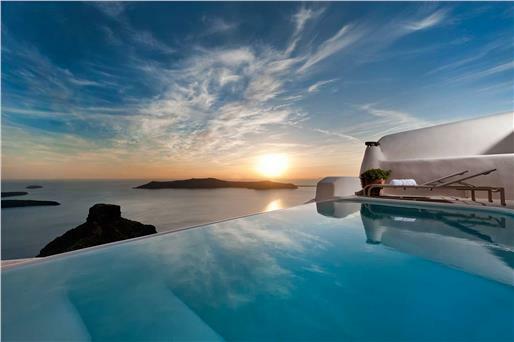 The nearest airport is Thira Airport, 4 km from Santoniro Villa. All children are welcome. All children under 2 years stay free of charge for children's cots/cribs. All further older children or adults are charged EUR 50 per night for extra beds. The maximum number of extra beds in a room is 1. 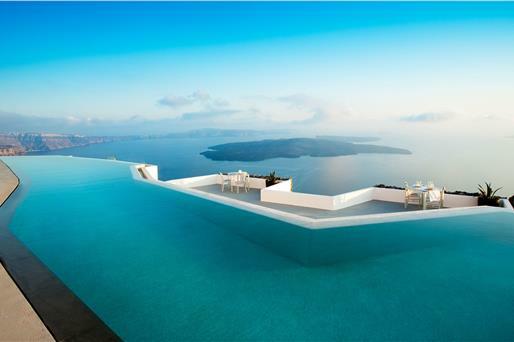 Please note that the check-in and key-collection take place at: Fira, 84700 Santorini. Please inform Santoniro Villa in advance of your expected arrival time. You can use the Special Requests box when booking, or contact the property directly with the contact details provided in your confirmation.